Are you interested in gardening? Do you live in the South Cambridgeshire area? 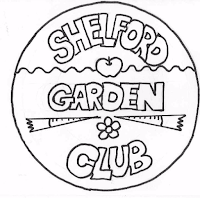 If the answer is yes – why not join Shelford Garden Club. Dr Twigs Way spoke about the history of women in the garden, based on her book bearing the title above. The medieval housewife was responsible for maintaining a garden to produce food and herbs to support the household. During this period and in Tudor times many women chose to work as garden labourers and are recorded in manorial accounts. One such record in 1515 shows that 22 women were employed at a rate of 3d a day, which was half that paid to men. The Hampton Court accounts list women as being required to weed the flower beds and collect bushels of strawberries and primroses from the wild. At Christchurch College in Oxford, records show that women gardeners were paid with bread, ale and herrings. In northern Europe there are pictures showing women scarifying and creating an estrade, a decorative garden feature produced by weaving lavender plants through and around a wheel. Women were involved in growing garden produce for sale in markets. They would look after bees but weren’t allowed to work in orchards, which led back to the biblical creation story. In the early 17th century, Miss Tuggie of Westminster was running her own carnation nursery, trading in the “most excellent and varietie of these delights which exceedeth all that had ever seen.” (John Gerard the herbalist). In 1618 William Lawson produced the first gardening book specifically for women, which showed a mistress instructing her maid on how to weed. During the late 1600s and early 1700s, gardening became the pursuit of queens and aristocratic ladies. Queen Mary 11 was a keen plant collector and had glasshouses installed at Hampton Court to house 2000 exotic plants and 1000 orange trees. Prince Frederick and Princess Augusta established a garden around Kew Palace and after her husband’s death she continued decorating and enhancing the 9 acre garden, which was to become the Botanic Garden at Kew. In the mid 18th century the ladies of Llangollen scandalised society by eloping together and retreated by creating a rural, gothic-style garden complete with grottos. For the Victorians nurturing and watering plants was considered a suitable activity for ladies but digging was deemed to menial. The botanical study, illustration and growing of ferns was a respectable pastime, as the plants showed no male and female parts. In 1807 Mrs London’s ‘Gardening’ was published and in 1840 ‘Every Lady her own Flower Gardener’ by Louisa Johnson. In 1902 the Hon Frances Wolseley set up the Glynde School of Gardening for women interested in horticultural careers. Her book ‘Gardening for Women’ had instructions about what women should wear in the colonies and how they should deal with drunken under gardeners. The renowned garden designer Gertrude Jekyll had attended the school. In the 1920s Norah Lindsay took up garden design out of economic necessity and was largely responsible for the style of design and planting championed by Hidcote and Sissinghurst. In 1932 Beatrix Havegall founded Waterperry Garden School for women, near Oxford. During the 2nd World War market gardening for food production became a priority and Land girls joined the existing students there in the ‘Dig for Victory’ campaign. Shelford resident Joanna Crosby spoke about Apple History, which is the subject of her doctorate study. The wild apple Malus sieversii originated in the fruit forest, together with plums and pears, in the Tien Shang mountainous region of Asia. Apples were distributed by bears ingesting them and the pips passing through their digestive systems. The crab apple Malus sylvetris was spread by birds. Apples were traded by man and have been found in ancient graves. The sweet apple Malus domestica was known to exist in stories from Celtic times. By the 19th century there were nurseries producing many different varieties of apples and a ring of market gardens had established around London. Cambridgeshire was well known for its orchards and Bramley apple trees under cropped with gooseberries, was common practice in the Wisbech area. A book known as a Pomona containing illustrations of all the apple varieties, was popular in well to do families in Victorian times. Apples do not grow true from pips, so established varieties need to be grafted on to a rootstock. This was practised by the Romans and later by monks living in the monasteries. The choice of rootstock determines the height of the tree and in areas where there is chalk, a semi vigorous rootstock such as MM111 or MM109 is probably the best choice to prevent wind rock. Whilst some apple trees are self fertile, most require another apple tree or crab apple, for cross pollination to produce fruit. Some varieties such as Bramley, Blenheim Orange and James Grieve require two different apple trees and are known as triploids. These tend to have large leaves and produce large fruit. Apples are therefore divided into different pollination groups, based on which varieties flower at the same time. Nearly 3000 apple varieties have been known to have been grown commercially, many of which can be seen at Brogdale Farm in Kent, which is the home of the National Fruit Collection. Apples can be identified by there shape and characteristics, although the size of fruit can vary depending on the weather. During the 19th century locally named apple varieties were often taken to other parts of the country where they were given different names, as testing has shown them to have the same DNA. Robin Carsberg returned to speak about some of the best gardens to visit in the south west. reflect nearly three centuries of changing horticultural styles with a diverse collection of gardens. They began as a landscaped garden, which reputedly took its inspiration from Versailles. The borders and flowerbeds with brightly coloured displays of bedding plants were 19th century additions. So too were the American and stream gardens and the hermitage garden, with a lake and water garden. Bicton was one of the first gardens to have fountains and water features powered by electricity instead of gravity tanks. The pinetum has many fine old established trees including a giant weeping sequoia, which resembles a wizened old man. A Victorian fernery has been re-established among the rocks around the shell house. A notable feature is the palm house, built in 1825 and constructed with a fine metal framework and glazed curvilinear roof. A more recent addition is the Mediterranean garden with drought tolerant plants and paths made of crushed shells mixed with sand. FORDE ABBEY at Chard in Somerset is a former Cistercian monastery with a mixture of architectural styles, set in a varied and attractive garden. The great pond at the top of the garden has three lower ponds linked by cascades. A columned temple with metal filigree dome, frames a view of the abbey seen across the long canal, which is lined with herbaceous plants and topiary shapes. There is a rock garden and bog garden with gunnera and blue Himalayan poppies. Douglas firs, cedars and redwoods create an atmosphere of timelessness. An extensive working walled garden provides kitchen produce. MAPPERTON GARDENS at Beaminster in Dorset are set in a valley below an old manor house with a courtyard of roses and clematis. The garden drops down in a series of Italianate terraces with clipped yew hedges and topiary shrubs linked by flights of stone steps. At the top end is an orangery with terracotta pots and below an octagonal pool with central fountain. Beyond is a pergola covered with vines, wisteria, roses and honeysuckle. Below that the garden gradually becomes less formal eventually merging into an area of trees and shrubs. ABBOTSBURY SUB TROPICAL GARDENS, near Weymouth in Dorset lie in a deep, sheltered valley to the north of Chesil Beach. The mild, moist microclimate has enabled the establishment of many colourful exotic and tender plants to produce a jungle glade. There are rare trees, bamboo groves, bog gardens and a Mediterranean bank. A magnolia walk leads out of the garden to a high point with spectacular views over the Jurassic coast. KILLERTON GARDEN at Broadclyst, near Exeter in Devon has one of the best collections of trees, originally obtained from some of the first plant hunting expeditions abroad. The garden has some of the oldest giant redwoods in Britain. Other trees include Japanese species of cedar, walnut and zelkova and cork oaks. Large numbers of rhododendrons, azaleas and cherries provide colour in spring. Near the house is a terrace of Mediterranean plants and a rock garden is planted with maples, ferns and primulas. A rustic thatched hut decorated inside with fir cones and acorns has a floor made from cobblestones, log sections and deer knucklebones and was originally built to house a black bear. Robert Brett has worked at Kew Gardens, Cambridge Botanic Gardens, the Eden Project and RHS Hyde Hall Gardens. The Eden Project was conceived by Tim Smitt to encompass biodiversity, sustainability and education by creatively engaging with people and also promoting a catalyst for change. The project had European funding, as one of the aims was to provide all year round and not just seasonal employment in Cornwall. It involved the regeneration of old china clay pits near St Austell, with a landscaped area, which followed the existing curves but also had hidden views. A vast amount of locally sourced soil was brought in to improve the china clay, which was mixed with 10% shredded lignite clay, 65% sand and 25% composted green waste and worms. The first few months proved very demanding due to non-stop rain, washing the soil down the slopes, which was solved by using hessian to stabilise the sides. The runoff collects in a central lake and underground tank, as the pit sits below the water table and excess water needs to be pumped out. Eden’s characteristic bubble dome structures consist of hexagonal and pentagonal inflated plastic cells supported by steel frames. The Tropical biome houses plants such as bananas, coffee, cocoa, rubber and giant bamboo and the high humidity is maintained using heated recycled rainwater. Aerial walkways and a platform enable visitors to experience the rainforest canopy from above. The Mediterranean biome houses warm temperate and arid plants such as olives and grape vines. Outdoors, the temperate regions of the world are represented with a range of plants such as lavender, hops, hemp and sunflowers as well as vegetables and salad crops. Paths lead upwards to the rim, where native plants represent wild Cornwall. Sculptures and artworks attract attention such as the WEEE Man, a towering figure made from old electrical appliances, representing the average electrical waste used by one person in a lifetime. The Core provides an education facility with classrooms and exhibition areas, demonstrating the interdependence of plants and people. The soaring timber roof is clad with recycled copper, and the design is based on the plant geometry of opposing spirals found in some seed heads like sunflowers. To attract visitors all year round an arena stage provides venues for concerts and festivals and the lake is frozen in winter to provide an ice rink. Eden has been involved with social programmes helping people to take action and run projects in their communities. They have also run projects with homeless, disadvantaged people and prisoners helping them create gardens and grow their own food. The Eden project has also established several global links – one supporting rural producers across southern Africa. Over 600 people including 150 volunteers are involved with the Eden project. It has been successful in attracting 1 million visitors a year and in the first ten years it has been estimated that 1 billion pounds have been put back into the local economy.